With locations in Midlothian and Orland Park, A.J. Smith Bank offers a full line of retail savings and lending services in addition to insurance and investment products. Dave DiNaso's Traveling World of Reptiles provides the Windy City ThunderBolts with their reptile show on select Sundays during the 2017 season! Over the past 20 years we have performed more than FOURTEEN THOUSAND shows in the chicago-land area. The web site, a few boxes of business cards and hundreds of free t-shirts is the extent of our advertising. The majority of people who know about us found out about us through word of mouth. We love what we do and it shows. If you have never seen The Traveling World of Reptiles it can best be described as an up-close, live, and extremely interactive or "hands on" experience about reptiles and amphibians from around the world. We blend education and a unique style of humor to form a totally original experience that makes our presentation every bit as entertaining as it is educational. In other words you will be every bit as impressed with the performer as you are with the animals. This is only a general description because each show is unique and much of what we say is total improv. Our 60 to 75 minute show is always safe and professional and we never force anyone to touch or handle the animals if they choose not to. If you would like the opportunity to see, touch, and learn about reptiles from all over the world and laugh a lot while doing so, you will love the Traveling World of Reptiles show. With over 25 years in the Scrap Metal business, it is our goal to stand above the competition, by offering our customers the BEST prices for scrap metal, along with the BEST quality of service. When you choose American Scrap Metal, you can be assured that our team will obtain the appropriate equipment to meet our specific needs. Whether, the job may require a large roll-off container or a small pick-up truck. American Scrap Metal will be on time to take care of all aspects. Metals Accepted: Copper, Aluminum, Steel, Stainless Steel, Nickel & Brass. Click here for more information on our full site! Call Today For The Most Current Prices! 708-377-2290 or visit us at 3837 West 127th Street in Alsip. Our Mission is the protection of wild and exotic animals through education. With the assistance of our team of dedicated vets, interns and volunteers, we rescue, provide sanctuary to and rehabilitate animals, as well as educate both children and adults in the problems and pitfalls of owning wild and exotic animals. Both locations, St. Charles and Palos Park, hold USDA licenses and have well over 30 years each of experience caring for animals and educating the public. Keeping up on licenses and permits to do this kind of work means unannounced inspections and mounds of paperwork. But it is our passion! RESCUE, REHABILITATE and EDUCATE! One of our 2014 Spring Training hotels! Located at 128th and Cicero Avenue in Alsip! Serving our famous Chicago-style pizza since 1976. Now with 21 locations to serve you! Experience The Smooth, Clean Taste of Bud Light. The Great American Lager. Nothing refreshes better under the hot sun or after a hard day of work than Budweiser beer from Anheuser-Busch. Dr. Preston Wolin is not only the Director of Sports Medicine at Weiss Memorial Hospital, he is also the Team Physician for the Windy City ThunderBolts. Dr. Wolin, Dr. Danielle Bass, and the experts at the Chicago Center for Orthopedics at Weiss Memorial Hospital offer non-surgical interventions and new minimally invasive procedures with faster recovery times. Get seen this week at our community clinic. Walk-in appointments on Thursdays. Visit ChicagoOrtho.com to schedule. Chicago Event Graphics is a city shop and warehouse located on Chicago's west side. Complete Collision Care, Inc. is a family owned and operated auto body repair shop. We strive to not only meet our customers expectations, but to exceed their expectations! CCC recognizes ALL insurance companies. Family owned and operated. We use the best white cheddar cheese curds from the Midwest, we package our cheese curds when they are fresh (never frozen!) and our product has more cheese and less breading (we use a delicious golden panko breading). We use a seasoning process where the flavor does not burn off in the fryer. Our cheese curds are so full of gooey, tasty goodness; they are endorsed by the cows! Effort: Performance & Rehabilitation is the official sports medicine provider of your Windy City ThunderBolts. We can and will help you reach your goals. All sessions are scheduled for 45-60 minutes, and will be one-on-one with a clinician. One patient at a time, all the time. Treatment sessions will be heavily manual therapy based (Joint/soft tissue mobilization, Graston, massage, trigger point, massage cupping, etc) with individualized functional and corrective exercises prescribed. Your treatment plan will be constructed from the ground up to fit your personal needs to help you recover as quickly and efficiently as possible. Emagine Entertainment is a proud Mid-West based luxury theatre company and operates 18 theatres across the states of Michigan, Minnesota, and Illinois including in Frankfort at 199th and Lagrange Road. Our goal is to enhance the movie-going experience and provide each of our guests with unparalleled customer service, gourmet concessions, power recliners or DBOX Motion seats, and other upscale amenities – like valet parking. All of this is done to provide each of our guests with a relaxing and enjoying movie experience. At First Midwest Bank, we provide more than just solutions. We provide momentum. For your business. Your finances. Your life. We are a Chicago-based bank with deep financial resources. So we can combine size and stability with quick response. A large array of products with close personal service. And a global perspective with strong local knowledge. Owned and operated by the Alsip Park District, Fountain Hills Golf Club has been rated as one of the finest nine hole courses in the Chicagoland area. Located 5 minutes from Standard Bank Stadium in Alsip at 126th and Kedzie. Illinois Brick has been providing brick and masonry products to the Chicagoland Market since 1981. We offer the widest selection of brick from the largest and most respected manufacturing partners in the U.S. In addition, we carry a full line of Natural & Manufactured Stone, Masonry supplies and tools. Our teams work together to design, implement and support our solutions and technology. We use automation to help businesses reduce redundant, manual or paper-based processes. This leads to increased efficiency and operational goals achieved. Our analytical model promotes the design of comprehensive and innovative business process automation solutions. These solutions are powered by industry-leading technology and supported by certified technical experts. We count on our employees to deliver an exceptional and successful experience, which is why fostering a positive employee culture is the final piece to delivering exceptional customer service. Visit us Orland Park at 174th and Wolf Road. A New Restaurant in Orland Park that features Vienna Beef Hot Dogs and homemade breaded steaks! Just Like the Old Neighborhood! John Luzzo is an Allstate Insurance Agent from Crestwood, IL offering auto insurance, home insurance, life insurance, and insurance quotes. 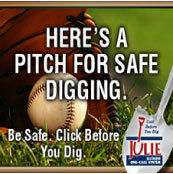 Call Julie at 811 before you dig to guarantee safe diggings in Illinois! Kelley's Gourmet Stone Ground Mustard has been awarded a 2nd Gold Medal in the 2016 World Mustard Competition. Our Mission...To innovate and produce the most unique and highest quality Salad Dressings and Condiments. Kelley's Gourmet Mustard is the Official Mustard of the Windy City ThunderBolts. Try it at any of the concession stands the next time you visit the ballpark. Lifting Gear Hire is the United States’ single largest organization devoted exclusively to the provision of lifting and moving equipment for rent. Whether it’s for simple everyday tasks or for special projects where expertise has to be matched with availability of the right equipment, in sufficient quantity, our equipment is maintained in excellent condition, tested for safety, and always ready for immediate rental. Tradition. Service. Quality. Since 1915, Joliet’s Milano Bakery, Inc has served Will County, the Chicagoland area and all of northwestern Indiana with fresh-baked goods using only the finest ingredients. For three generations, it has been our pleasure to be served on the tables of local families, finer restaurants and sold in better grocery stores because "Everybody Loves a Little Italian." O’Donnell Dental Care is offering a discounted dental wellness plan that covers all of your preventive care at no cost, as well as offering significant discounts on treatment. You save on everything from cleanings & fillings to cosmetic procedures & crowns! We are pleased to introduce an exciting way to make sure you and your family’s dental needs are taken care of without expense or hassle of insurance companies! Its easy to get started....visit us in Oak Forest today! O&S concentrates the majority of its practice in representation of local governments and school districts and is a definite "one-stop-shop." For more information call us at 708-425-1898 or visit our offices in Evergeen Park. The official soft drink for the Windy City ThunderBolts! Physicians Urgent Care, also known as Physicians Immediate Care, is a Midwest leader in urgent care and occupational health services with over 40 locations in Illinois and Indiana. No appointments are required, and most clinics are open seven days a week, up to 12 hours a day, to treat non-life threatening illnesses and injuries. Our clinics are staffed by a doctor or advanced practice provider, under the supervision of a doctor, who provides quality, caring service, and effectively diagnoses and treats a variety of injuries and ailments. Visit our local offices in Alsip, Orland Park, Frankfort, and New Lenox. Ahoy Matey! Head out to Pirate’s Cay Water Park at Fox River Resort for year-round water fun! Our 31,000-square-foot, indoor water amusement venue is a local attraction where summertime never ends. The completely glass-enclosed recreational area is climate controlled and features a retractable roof for pleasant summer days. We are proud to be the #1 Selling Refrigerated Citrus Punch Brand. Bottling Irresistible! 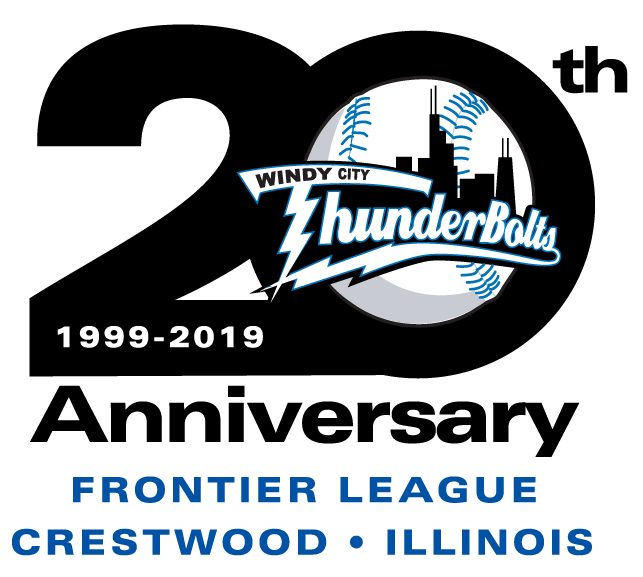 Official Candy Supplier of the Windy City ThunderBolts! We are a fast casual restaurant providing a quality selection of in-house prepared seafood, salads, soups, and desserts and our acclaimed cornbread. Our menu is simple allowing us to readily prepare the best tasting shrimp, scallops, fish, calamari, oysters and of course our lobster for our famous lobster roll, day after day. We want your dining experience with us to exceed your expectations beyond a "shrimp house." Visit us in Palos Park at 129th and LaGrange Avenue. Triple Threat Sports is a full service sports apparel and novelties store, as well as a full service team outfitter located in Frankfort, IL. In 1921, it all started out so innocently. A five-cent small hamburger. A Castle-shaped restaurant. And nothing like it before, or since. A humble 100% beef patty with onions, and a pickle. So easy to eat, it was dubbed the Slider. The only thing better than polishing off a Sack of Sliders alone, is doing it with friends. Could it get any better than that? White Castle. Because The Crave Is A Powerful Thing®. Family-owned since 1996, WindowWorks has become the respected window and door company in Chicago.